We all knew it was gonna happen, but now it’s official! NeNe Leakes just confirmed her return to Real Housewives Of Atlanta for season 10. BLOOP! First Sheree Whitfield returned, next Kim Zolciak got rehired, and then Phaedra Parks (along with alleged villainous producer Carlos King whom NeNe had all kindsa beef with) got fired. All this paved the way for the imminent return of the queen bee of the peaches. After months of negotiations NeNe signed her contract on Wednesday. It turns out Kim was also playing hard ball, but finally signed her deal back in April. According to sources Bravo was eager to have the OGs back for RHOA’s 10th Anniversary and kept pressing NeNe. RELATED – NeNe Takes Credit For Creating RHOA! NeNe finally confirmed in an Instagram post that YAAAASSSS she is back to Bravo! And saucy as ever – but we wouldn’t have her any other way, would we?! No word yet on who any potential new Housewives are! “It’s been a long process but we’ve finally reached an agreement! 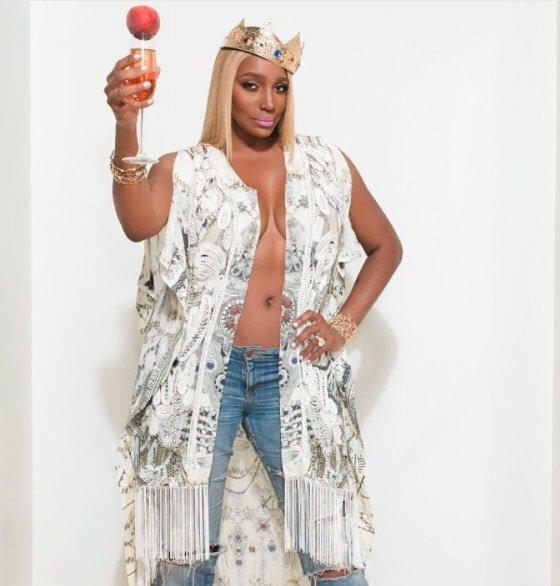 All Hail the Queen for season 10 of #RHOA @bravotv #thethreatisback,” NeNe declared. TMZ reports that NeNe’s back and forth was because she only wanted to be a part-time cast member in order to also focus on her clothing line and other gigs, but the network wanted more. Some of the women have already started filming for season 10, but NeNe has yet to join them. I’m guessing one thing that was filmed was Shamea Morton‘s bridal shower which both Kandi Burruss and Porsha Williams attended. RELATED – Did Phaedra Really Say Goodbye To Bravo?! C’mon – you know you’re peachy keen for more of the Neenster! If only because she will be the pit in Kenya Moore‘s juicy fruit! TELL US – ARE YOU READY FOR MORE NENE? !